Visva Bharati University Recruitment 2019: Visva Bharati University / www.visvabharati.ac.in is conducting recruitment processes to fill 7 vacancies. As of now, there are two recruitment drives going on for Project Fellow Post and Walk in for RF, FA & Other Posts. Visva Bharati University Recruitment 2019 - Job notification for JRF Post on a project entitled "To elucidate whether chemoattractants stimulate feeding in Indian major carps to accelerate their growth" in Department of Zoology, Visva Bharati University, Santiniketan, West Bengal on Temporary on Co-terminus Basis. Applications are invited by Visva Bharati University on or before 17 Apr 2019 for 1 vacancy. 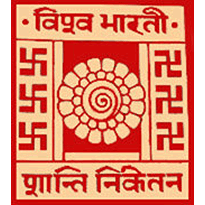 Visva Bharati University Recruitment 2019 - Job notification for Assistant Agronomist Post in Bihar, Jharkhand, Chhattisgarh. Applications are invited by Visva Bharati University on or before 11 Apr 2019 for 1 vacancy. Visva Bharati University Recruitment 2019 - Walk in for JRF Post on a project entitled ‘To elucidate the mechanisms regulating testicular germ cell apoptosis in high fat diet induced obesity leading to insulin resistance’ in Department of Zoology, Visva Bharati University, Santiniketan, West Bengal on Temporary on Co-terminus Basis. Candidates are invited by Visva Bharati University to attend walk-in-interview to be held on 26 Feb 2019 11:30 AM. Visva Bharati University Recruitment 2019 - Walk in for JRF Post on a project entitled “Enhancement and Securing Women and Child Health through Capacity Building and Technological Advancement” in Visva Bharati University, West Bengal on Temporary on Co-terminus Basis. Candidates are invited by Visva Bharati University to attend walk-in-interview to be held on 12 Feb 2019 at 10:30 AM for 1 vacancy. Visva Bharati University Recruitment 2019 - Job notification for JRF/SRF/RA Post on a project entitled "Visible light organophotoredox catalysis: towards an environmentally friendly approach to organic synthesis" in Department of Chemistry, Visva Bharati University, West Bengal. Applications are invited by Visva Bharati University within 15 days of the advertisement. Visva Bharati University Recruitment 2019 - Walk in for JRF Post on a project entitled "Identification and characterization of Phaseolus vulgaris long non-coding R As responsive to mungbean yellow mosaic India virus infection" in Visva Bharati University, West Bengal. Candidates are invited by Visva Bharati University to attend walk-in-interview to be held on 12 Feb 2019 at 12:30 PM for 1 vacancy. Visva Bharati University Recruitment 2019 - Walk in for JRF Post on a project entitled " Identification and characterization of Phaseouts vulgarism long non-coding RNAs responsive to mungbean yellow mosaic India virus infection" in Visva Bharati University, Santiniketan, West Bengal. Candidates are invited by Visva Bharati University to attend walk-in-interview to be held on 12 Feb 2019 12:30 PM for 1 vacancy. Visva Bharati University Recruitment 2019 - Job notification for JRF Post on a project entitled " Study of scalar perturbations in cosmological models of Dark Energy " in Department of physics, Visva Bharati University, Santiniketan, West Bengal. Applications are invited by Visva Bharati University on or before 15 Feb 2019 for 1 vacancy.